This week’s top soccer headlines may have been in Europe. But plenty of talent will be showcased on this continent next week. That’s because the CONCACAF Champions League is just around the corner, and while it might not yield the same prestige as the UEFA Champions League, it’s just as important for the clubs involved. The winner not only claims supremacy of the Confederation of North, Central American and Caribbean Association Football (try saying that five times fast): it also books a ticket to the FIFA Club World Cup this December. Tigres has taken major strides in the past eight years, going from the verge of domestic relegation to the edge of CONCACAF glory. “So close you can almost taste it.” This is a quote that Tigres won’t want to think about; the club has been runner-up for the last two editions of the Champions League. And while the club has vastly improved from near domestic relegation, these players really want the trophy. Tigres is currently winless in its last three games, sitting in 11th place in the Liga MX Clausura table. I expect them to play a conservative lineup versus Atlas on Saturday before traveling to Costa Rica. Herediano is in 2nd place in the Costa Rican Primera División, and they also have a Saturday game. Herediano’s best run in this tournament was in 2014-2015, reaching the semifinals before defeat to eventual champion Club América. If recent history tells us anything, Herediano will be in trouble if it ties or loses this home game (especially if it loses); Herediano is winless in its last four Champions League road games. Watch attacking players like Yendrick Ruiz try to avoid falling into that trap on Tuesday. 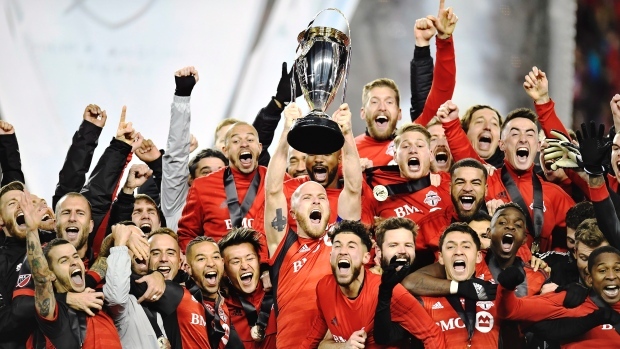 Toronto FC was the greatest team in MLS history in 2017. People can talk about D.C. United from ‘98 and the LA Galaxy of 2000, the only only MLS teams to win a CONCACAF title (from back when it was the Champions Cup era). People can talk about any of the other teams that had historic seasons. But simply put, 2017 Toronto FC won the domestic treble last year: Canadian Championship, Supporters Shield, MLS Cup. The Reds amassed the most points in an MLS regular season last year. Sebastian Giovinco scored 20 goals across all competitions last year and is, by my account, one of the best set-piece specialists in the world. Jozy Altidore added 18 goals across all comp’s. And Michael Bradley silenced some haters with his brick-wall performances, especially in the MLS Cup final. No MLS team has ever had a better chance to win the CONCACAF Champions League than Toronto FC this year. And no MLS team has won the CONCACAF Champions League. The Reds will be the heavy favorite for this matchup. They still aren’t the title favorite (I’d go with Club América). But as Toronto FC taught us last year, the sky is the limit. The team has been playing exhibition games in Mexico, and will be aided by bringing in Gregory van der Wiel and Auro (the later of the two is currently on loan). Toronto FC’s trophy shelf is filling up after winning the 2017 MLS Cup. Photo courtesy The Canadian Press. Photo posted to The Sports Network. The Colorado Rapids occupied the 2016 Supporters’ Shield berth for this tournament (Dallas won the Supporters Shield, but Colorado got the berth because Dallas was already qualified via the U.S. Open Cup). But we surely wouldn’t have known that after a dismal 2017 season. The Rapids had the third fewest points in the league last year, posting a horrific road record of one win, fourteen losses and two ties (you read that correctly). 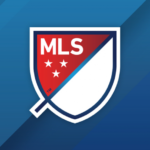 The team scored the second fewest goals in MLS and conceded the ninth most in MLS. They brought in Anthony Hudson as their new manager in November, and the former New Zealand national team coach has brought in New Zealand internationals Tommy Smith, Kip Colvey, and Deklan Wynne. The team has also declined contract options on a variety of players, including Alan Gordon. We’ll see what that means for this matchup. Tauro FC is the lone Panamanian representative. The team has had an odd run of one win and five draws to start the season. Tauro is still looking for its first Champions League point in history, going 0-4 in 2014-15 with just two goals to show for. The club plays its home games at Estadio Rommel Fernández, the venue where Panama’s national team earned its dramatic World Cup berth. FC Dallas collapsed in the second half of the season, and for that reason, their MLS postseason absence was well-deserved. But it was a real shocker for a team that won the 2016 U.S. Open Cup, won the 2016 Supporters Shield, and reached the Champions League semis last year. Dallas has brought in nine new players, including Designated Player Santiago Mosquera. The team will be favored in this matchup, but its players need to step up. Club América is the most successful team in CONCACAF history. Las Águilas have claimed seven Champions League titles, the most of any team. That included back-to-back titles in 2015 and 2016. 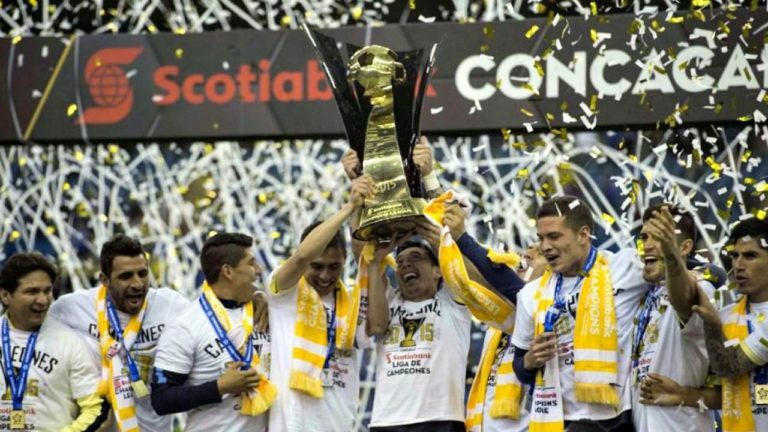 Club América finished third in Mexico’s Apertura season before getting eliminated in the Apertura playoff semifinals. América is in first place in the Clausura seven games in. 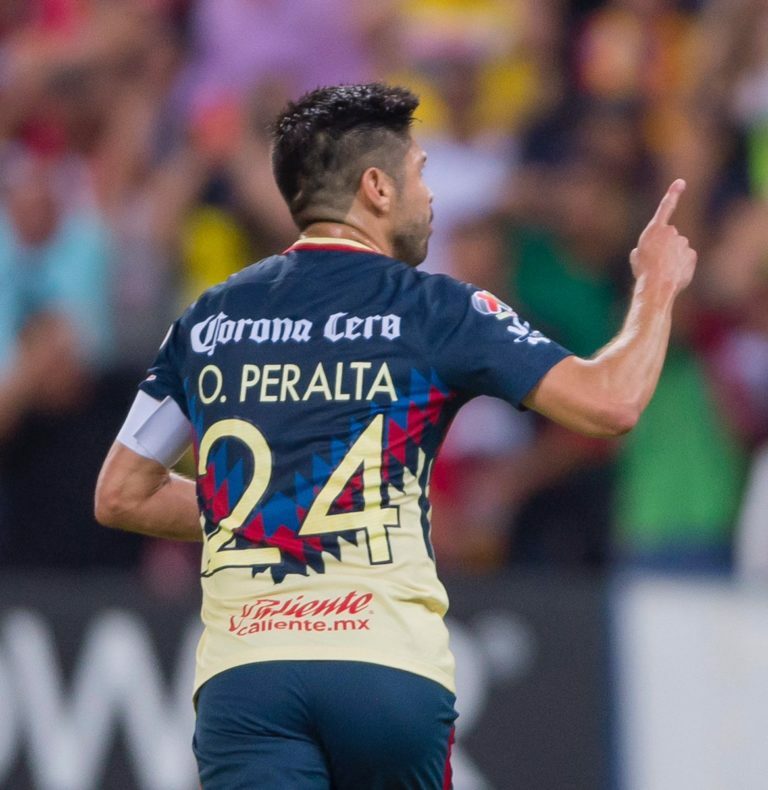 Oribe Peralta will continue to be the goalscoring menace to watch for in this series. Saprissa is also a historically successful CONCACAF team. The Purple Monster won three Champions Cups (again, the old era) and has participated in the last three Champions League tournaments. Saprissa is currently third place in the Costa Rican league with a league home game on Sunday afternoon before hosting Ámerica on Tuesday. It’s imperative that Saprissa control the tempo versus Ámerica, given that this will be Saprissa’s third game in eight days. Watch for David Ramírez in this series; his six goals are tied for third in the early-going of this Costa Rican season. F.C. Motagua is happy to be back in the fold for the second time in the last three editions of the Champions League, having missed out last time around. The Blue Cyclone hasn’t advanced from a CONCACAF two-leg aggregate series since 1993. But the team is in first place and undefeated in the Honduran league. What’s more? Their opponent isn’t the toughest matchup on paper; Tijuana is in 12th place in Mexico. Motagua has had plenty of notable players on their team in the past, and Román Castillo has four goals in eight league games. The Blue Cyclone will be poised to storm out of the gate in this series. Tijuana will head south for what will be its second trip in three games. The team roster includes players like Miller Bolaños, Yasser Corona, and former American international Michael Orozco. Los Xolos will be keen to make the most out of this tournament; their only other appearance in the Champions League was in 2013-2014, when they reached the semifinals before falling to Cruz Azul. Despite being a mid-table team in Mexico right now, Los Xolos know that they can make a name for themselves in the Champions League. 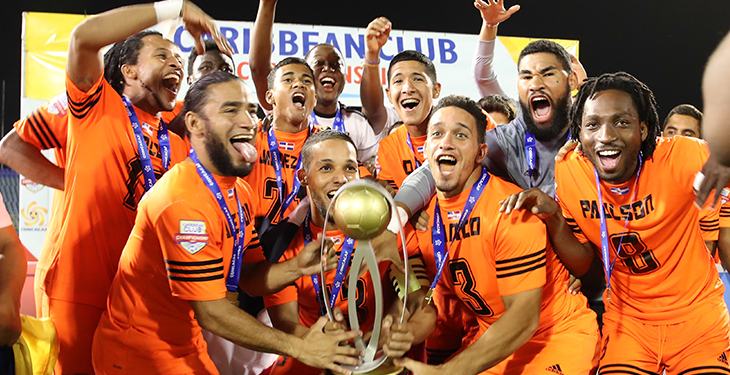 Cibao FC is making its first Champions League appearance in its three-year club history after winning the 2017 Caribbean Club Championship. In the process, Cibao also became the first team from the three-year-old Dominican Republic league to reach the Champions League. If you are rooting for an underdog in this tournament, Cibao is your team. However, just as Tijuana has had a mediocre start in the Mexican league, so has Chivas. Captained by Rafael Flores, Cibao FC will aim to use the first leg to put itself in the best shape possible for the trip to Guadalajara, because Cibao is David in this series and Chivas is Goliath. Chivas won the Mexican Clausura playoffs last spring, but things have been different since then. Captained by Carlos Salcido, The Goats failed to make the Apertura playoffs after finishing 13th place in the regular season. While they have been successful historically in Mexico, The Goats are not the G.O.A.T. in CONCACAF finals; they’ve claimed one Champions Cup in 1962. But don’t underestimate this team going forward. Chivas has a lot of game changers, like Orbelín Pineda and Rodolfo Pizarro. The Goats will look for a clinical start to Champions League play to consolidate for their thus-far underwhelming league-play. Like Cibao, Santa Tecla FC deserves credit for reaching milestones in its brief club history. Founded in 2007, Santa Tecla FC appeared in the 2015-2016 Champions League and has won three Salvadoran first-tier titles (and El Salvador’s first-tier league has been around since 1969). Santa Tecla is the lone Salvadoran team to qualify for this edition of the tournament. The club will look to its young but experienced defense to weather the storm against Seattle; three defenders are Salvadoran internationals aged 22 or younger. And 31-year-old Ricardinho is showing no signs of slowing down for this team, scoring five goals in seven league games. Seattle is in its fifth Champions League tournament in club history. The Sounders qualified for this tournament by winning the 2016 MLS Cup, their first MLS Cup in club history. The Sounders will be favorites in this series, and while Toronto FC exacted revenge on them in MLS last year, bear in mind that the Rave Green have reached the Champions League knockout stage in three of their four tournament appearances, including in 2012 when they made the semifinals. One of the questions the Sounders will be asking themselves, not only for this series but for the whole season, is how to use Jordan Morris. The 2016 MLS Rookie of the Year scored just three goals in 23 league games last season, and both Seattle along with the US national team are still trying to figure out whether he’s best as a striker or a winger. Seattle has a lot of attacking talent in Clint Dempsey, Nicolás Lodeiro and company. Head coach Brian Schmetzer has a big task on his shoulders: setting up that attack to be more lethal in 2018. Olimpia is the only Honduran team to claim CONCACAF supremacy (winning the 1972 and 1988 Champions Cups). Los Leones reached the quarterfinals in 2011 and 2015. They finished third place in the Honduran Apertura playoffs in December, and are currently in second place early in the Clausura season. Olimpia will be a solid opponent for the Red Bulls. Defensively, Johnny Palacios and company have gone six games straight conceding less than two goals. As for the attack? Michaell Chirinos, Carlos Costly and Diego Reyes have combined for ten goals early in the Clausura season. The New York Red Bulls are making their fourth appearance in the Champions League. They qualified for this edition of the tournament by finishing in first place in the MLS Eastern Conference in 2016. Last year marked the only time the club has reached the Champions League knockout stage, losing to the eventual runner-up Vancouver Whitecaps. The Red Bulls finished sixth in the Eastern Conference last season and were eliminated in the Conference semis, and just like last season, there’s reason for feelings to be mixed about 2018: Bradley Wright Phillips scored 24 goals in 42 games across all comp’s last year, Tyler Adams is a rising star at age 18, and Daniel Royer proved he can deliver in big moments. But Kljestan is with Orlando now, the center back situation is still in question, and simply put, this team needs to make a deep run like they did in this tournament last year. Sure, an Eastern Conference trophy is nice, and so are two Supporters Shields. But the Red Bulls have had plenty of MLS seasons where they dominated the regular season just to fall short in the MLS playoffs. The Red Bulls have zero MLS Cup titles and zero U.S. Open Cup titles. But a strong showing in this series and beyond in the Champions League can instill confidence for this team to win knockout games.